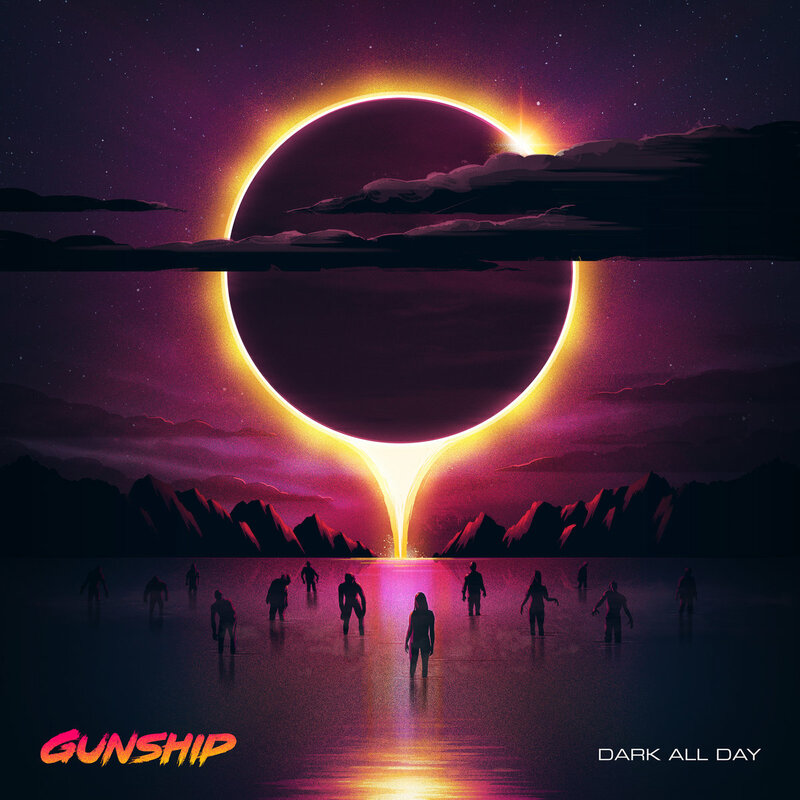 Since the release of their self titled debut GUNSHIP have grown into a formidable force in the synthwave world we all absolutely adore. Dan Haigh, Alex Westaway and Alex Gingell return to bring us their highly anticipated second album Dark All Day. The dedication into their love for the 80’s is nothing short of inspiration and us as fans completely treasure that. The vintage music technology they use brings that influence physically. Their musical guests and fans, such as Tim Capello and Kat Von D, decorate this album beautifully; that’s if you’re not satisfied with their eerie album cover. After their first album was a triumph we can all now breathe a sigh of relief now they second instalment has finally been released. We have already seen the videos for their heavy saxophone fuelled title track “Dark All Day”, the emotionally charged “When You Grow Up, Your Heart Dies” and Ready Player One inspired “Art3mis & Parvizal”. With such a strong selection of songs to showcase Dark All Day promised a synthwave epic that we have all been eager for. We detect industrial rock influence that adds to the sheer power that carries throughout, with their opening song Woken Furies, The Drone Racing League and the title track. The cover of Time After Time by Cyndi Lauper is a surprising feature that shows how much they care and pay tribute the 80’s decade. Of course we have the songs that make us chill out such as Rise the Midnight Girl and Symmetrical. The Gates of Disorder perfectly closes this album with its intense sound. Montages from either existing films or real life fantasies swirl around the mind whilst listening to these songs. Finding fault with Dark All Day is like finding a needle in a haystack and no matter how many times I listen to it I love it more after every each time. The true joy I get from Dark All Day is that they manage to keep their own sound style whilst exploring other musical influences to make this a unique record. Dark All Day is more than just arpeggiated basslines lines and catchy drum fills which makes it a stand-alone masterpiece that merrily skips hand to hand with their debut album. Dark All Day offers unforgettable anthems and a timeless variety of tunes to rightfully pushes its way into our music playlists and record collections. Note that the awesome artwork is by James White at Signalnoise. …a gleaming synth behemoth that wouldn’t sound out of place soundtracking a medley of all your favourite Eighties sci-fi films.